I was given these two beautiful benches. 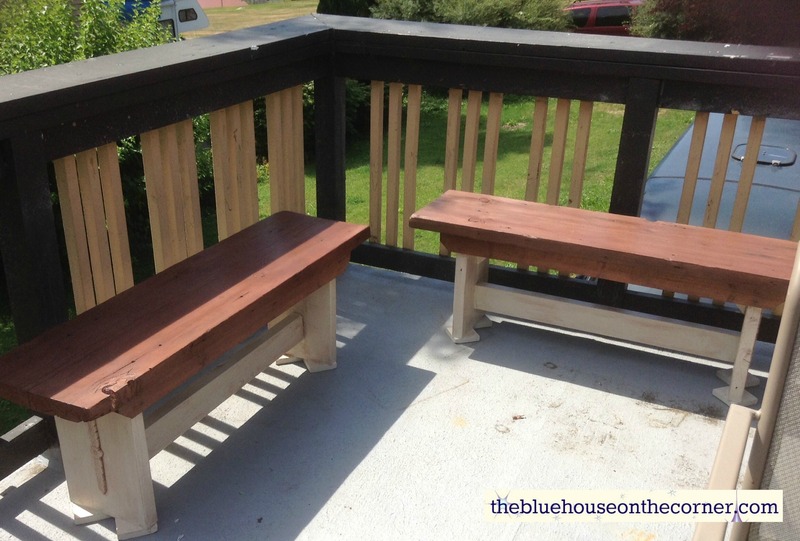 I loved the style of them and knew they would make for great extra seating on our deck. But they needed a bit of upgrading! Here is what to do if you have a similar project. 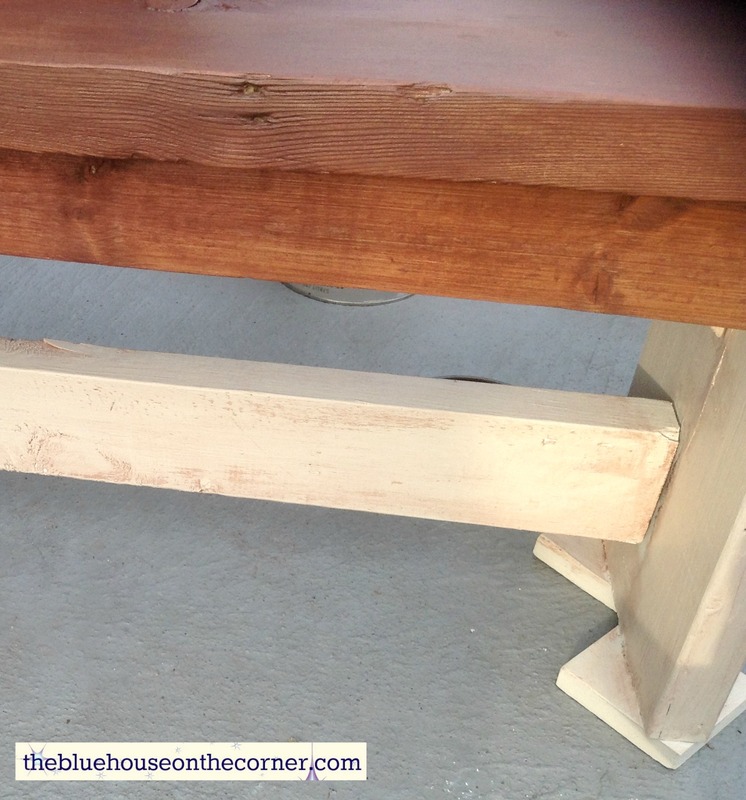 You don’t want to stain right over top of grayed wood for a couple of reasons. 1. The colour won’t turn out as vibrant or as nice as you would like it to. 2. 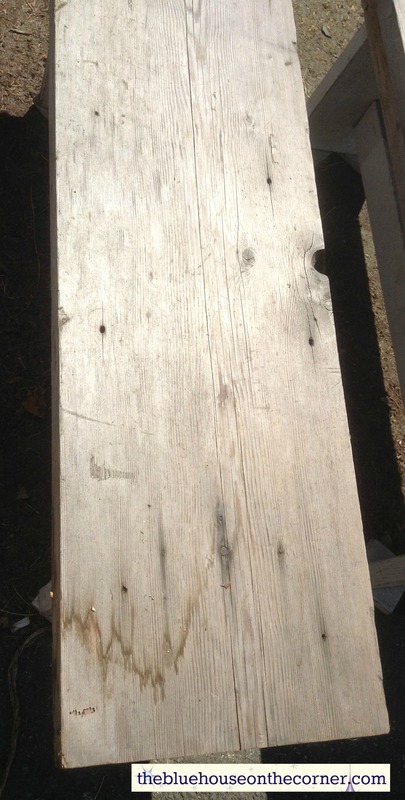 The grayed wood is damaged wood, if you put stain over top of it, it isn’t going to fix the problem. What’s that saying…? It’s a band-aid for a bullet wound? 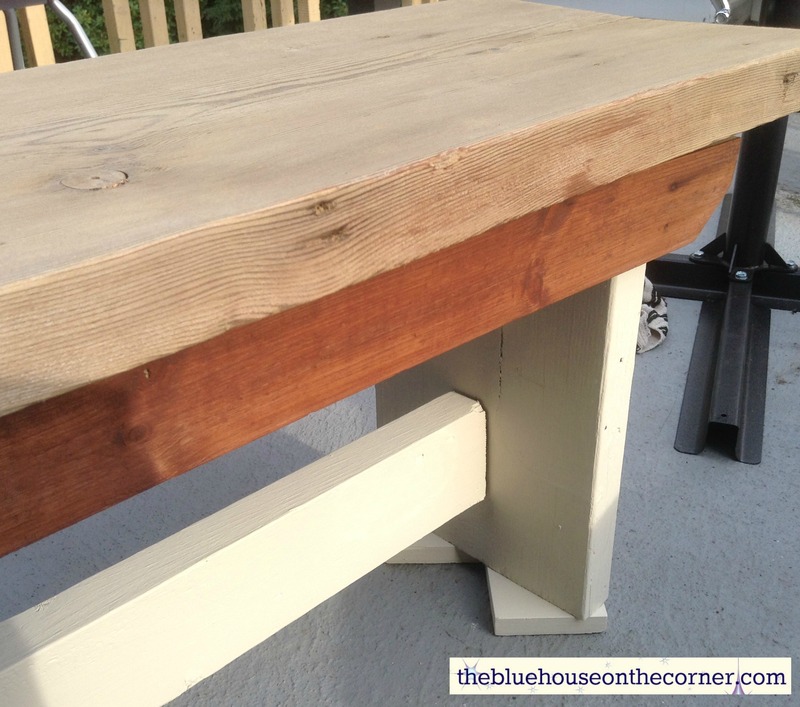 Although it may ‘spruce’ the wood up for a brief time, the stain is more likely to fade off faster if it goes right over top of grayed wood. There are a few ways to fix this problem! 1. Pressure Wash the Wood. When pressure washing, you have to be VERY careful that you don’t go too close to gouge the wood and damage it. Make sure you have the right nozzle and stay the correct distance away when pressure washing. I find pressure washing to be the least effective process. 2. Sanding. 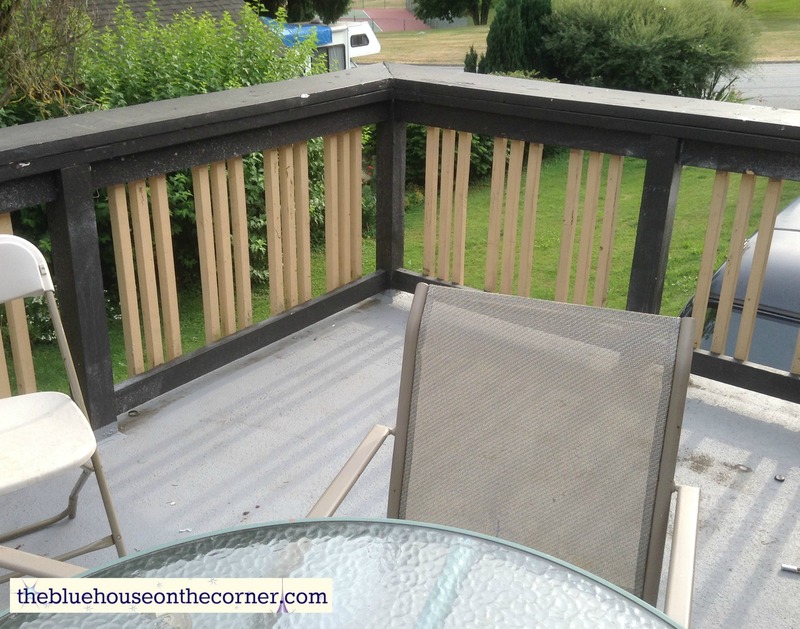 This can be a very time consuming process if you have a large project, like a fence or deck. If you are going to tackle it by sanding, make your life easy and use an 80 grit sand paper. You can either put that on a pole sander to make it easier or use a belt or palm sander as well. 3. Chemically Remove. This is, in my opinion, the easiest way to restore the wood. This is what I did for the benches. Now a days all chemicals are environmentally friendly so don’t get too scared by the word ‘chemical’. I will explain the process farther down in this post. 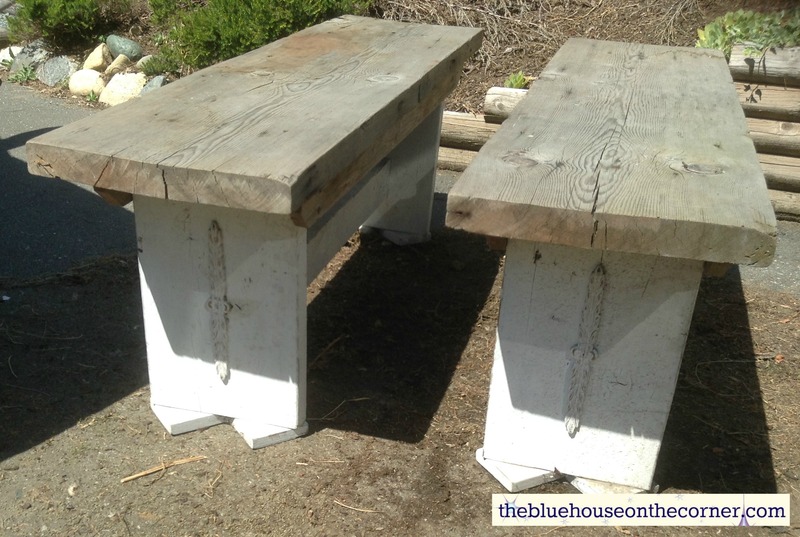 Step 1: Get your benches. If you are handy enough, you could even make them yourself! 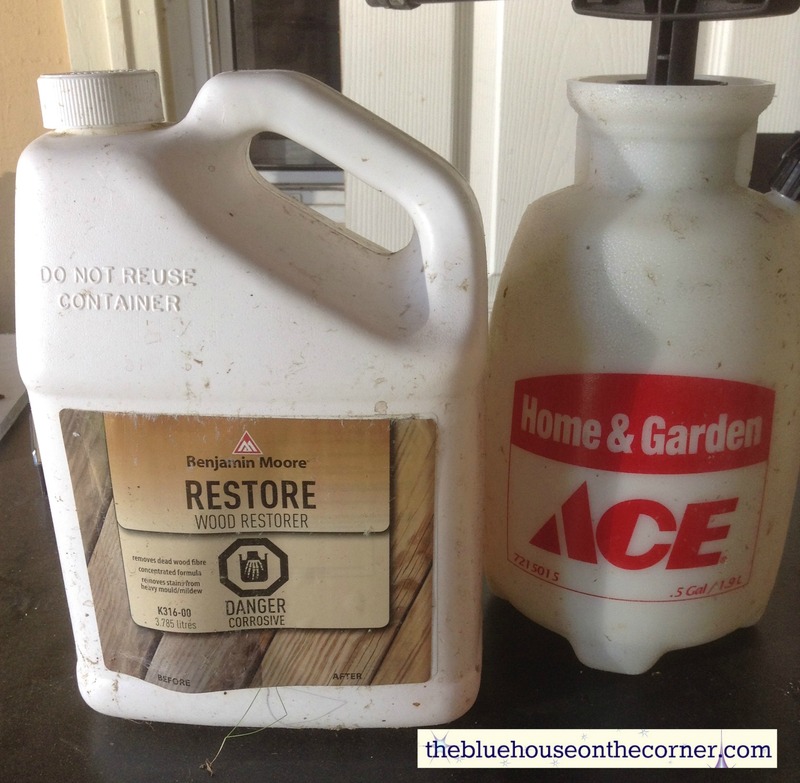 Benjamin Moore has a one gallon jug of a chemical Restore concentrate for $23.99. This jug will end up doing close to 1600 sqft. The easiest way to apply it is with a garden sprayer. I got mine from Fraser Valley Ace Hardware for $14.99 and I know I will get a lot of use out of it! All of the mixing ratios are on the Jug so it makes it nice and easy. They have different ratios for different degrees of gray wood. I mixed my solution right into the garden sprayer. 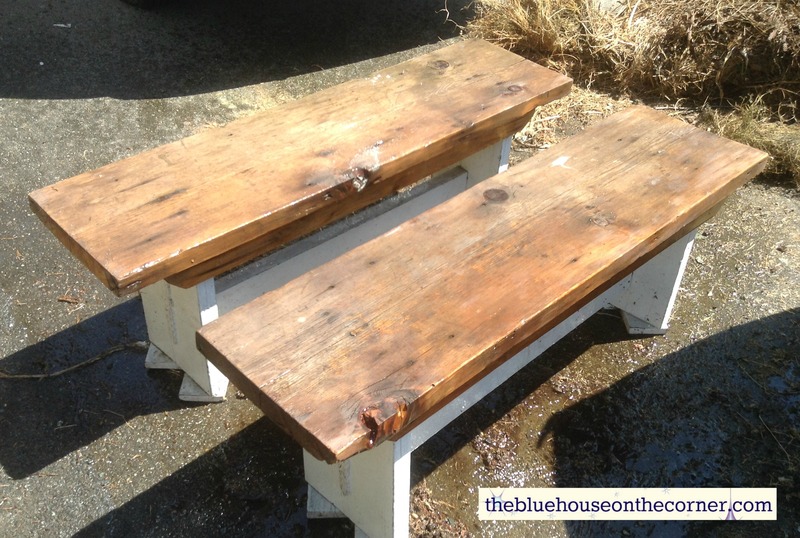 You want to wet the wood first with just water and then apply a liberal coat of the Restore. Allow the solution to sit for about 5 minutes before you agitate it with the deck brush. Always go with the wood grain when agitating. The deck brush will get really gummy with the solution. But you will notice it working right away! Rinse off the sections you have agitated. Here’s one finished and one not. What a difference! Now of course this is still wet, wet wood showcases the wood grain amazingly. 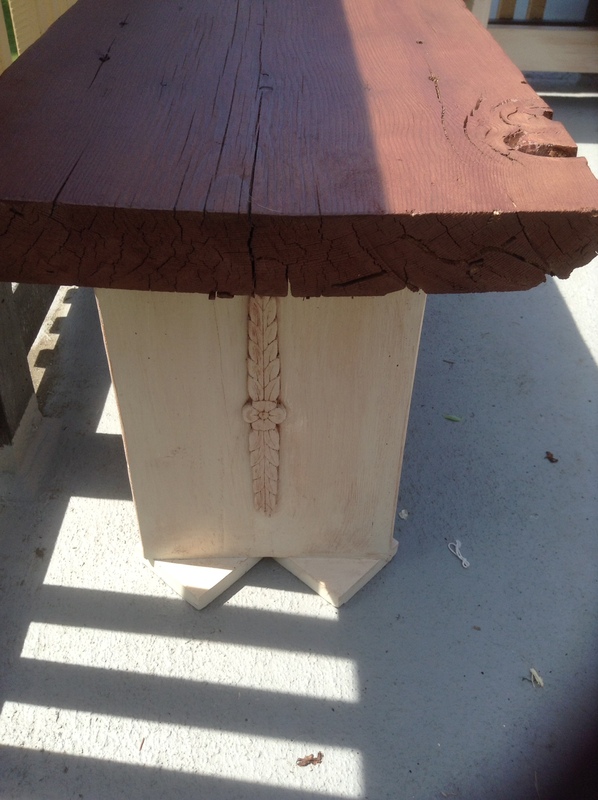 But it will look a little different when the wood dries. 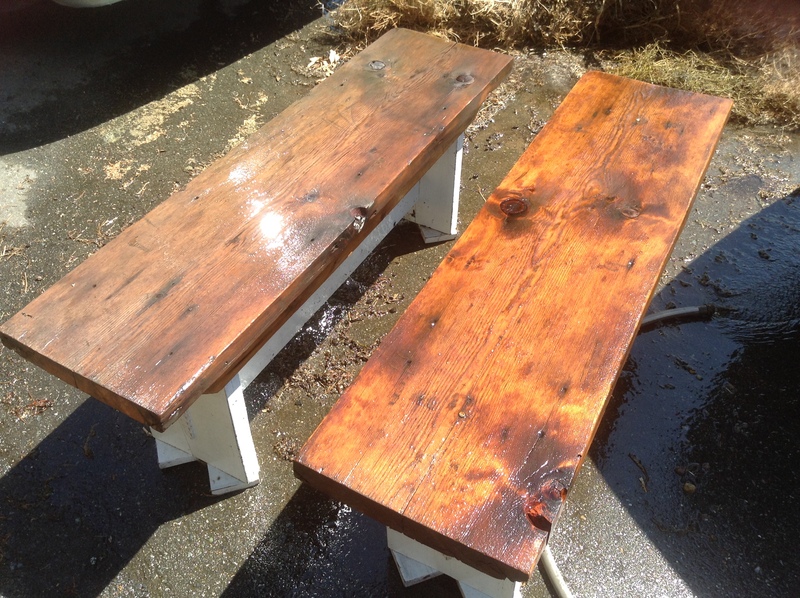 While I had the hose out, I made sure the base of the benches were clean of dirt and grime. Here is the before and after when it is all dry. If you notice the solution didn’t work as much as you would like, maybe the ratio wasn’t strong enough. Or you can try a second application of it as well. 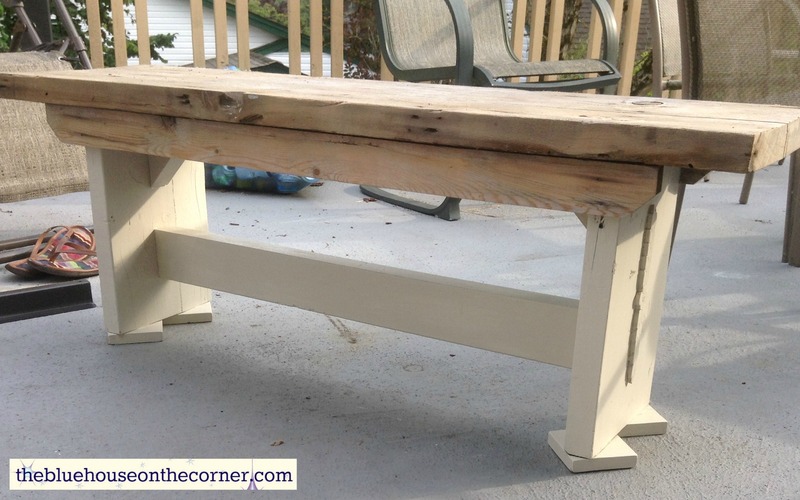 It is very crucial you allow the wood to dry completly before staining or painting. 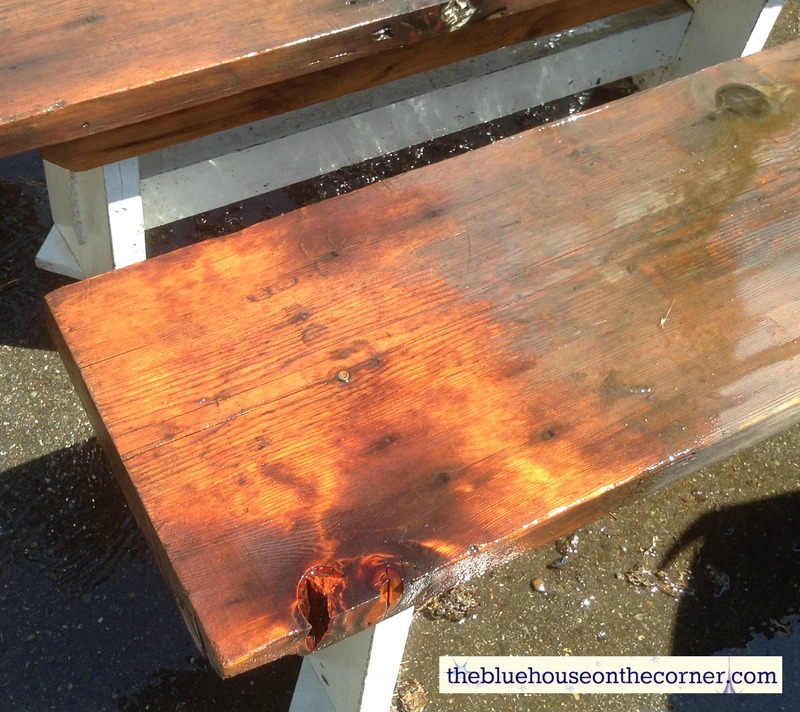 The biggest reason why paint or stain will fail is because there is moisture caught in the wood. The next time the sun is beating down on the wood, it is turning all the moisture that is caught in the wood into steam… and where does steam and hot air want to go? Up and out! And therefore it will lift, bubble and peel the paint or stain. So be patient! 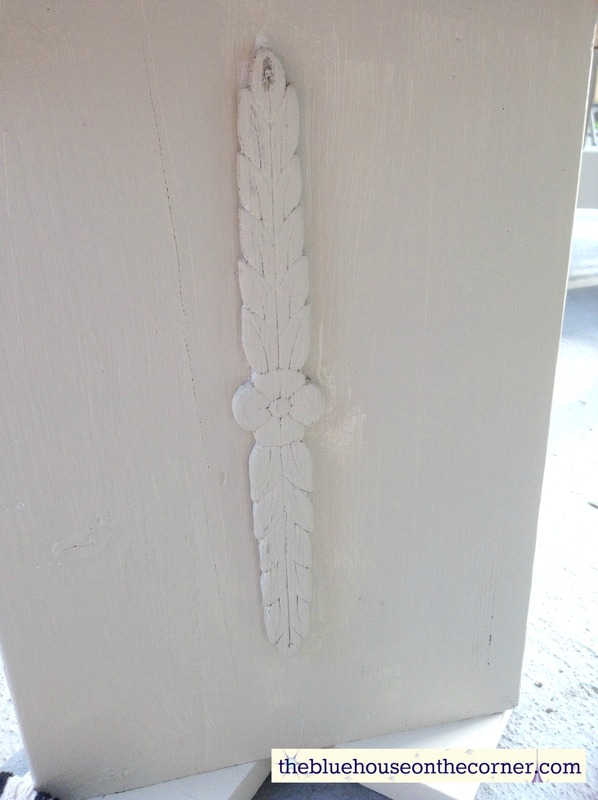 Painting and staining is a lot of work as it is, who wants to re do a project that you’ve already done! Use an exterior Paint. I am a Benjamin Moore fan so I used there entry level Ben Exterior paint in a flat finish. The colour I used is OC-11 Clay Beige. I only did one coat of the entire base even though I missed some spots. I knew I was going to hide those imperfections with an antique look so I wasn’t too concerned. There are many different ways to get an antiqued look. This is one of them. I chose this way because it was the easiest for this project. Second: Immediately wipe off the stain. 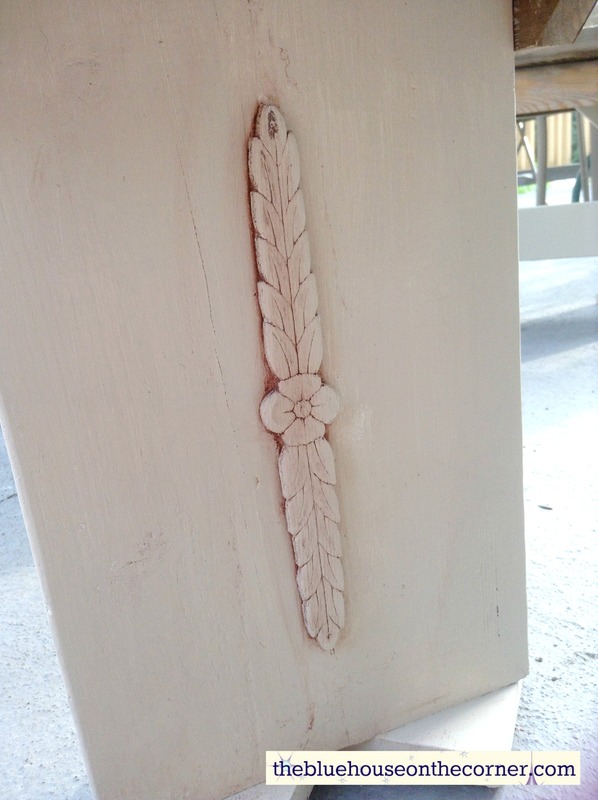 The stain is going to catch in the grooves of the detail work and also in the imperfections of the wood itself. Third: Brush stain onto the large areas. I worked with partial areas while I did this, the water based stain I was using dried really fast so I needed to wipe it off right away to get the look I was trying to achieve. Fourth: Apply as many layers as you would like to get the look that you want. I did two layers of stain, wipe off, stain, wipe off. I used Benjamin Moore Arborcoat Transparent Mahogany colour. A Gallon goes for $56.99 but it is a beautiful stain to work with. 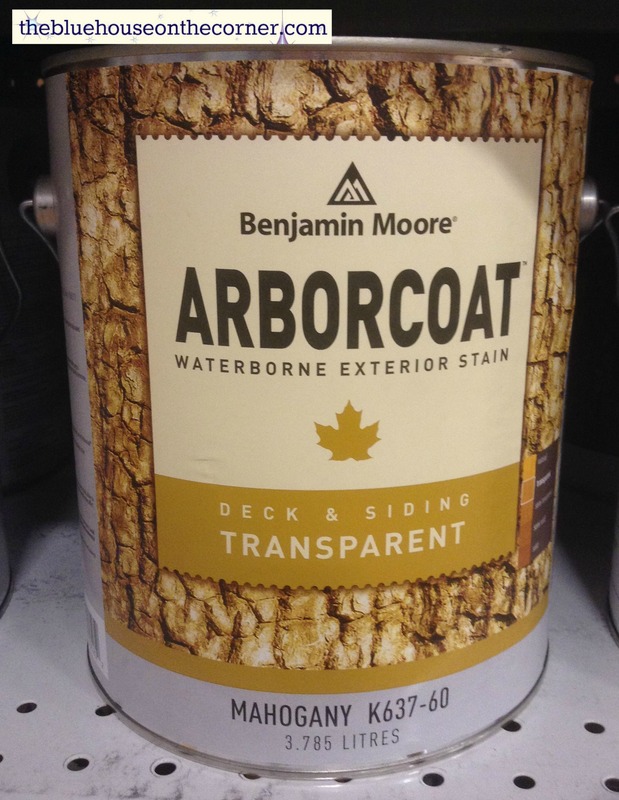 If your project is small, Benjamin Moore stores also have little $6.99 stain samples of this type. 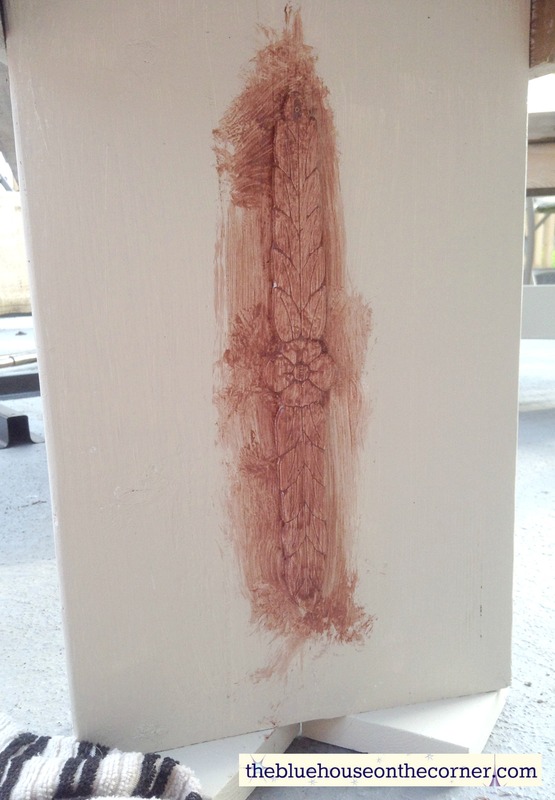 This is the same stain that I have used for all the wood accents around the out side of my home. Therefore, everything is unified quite nicely. 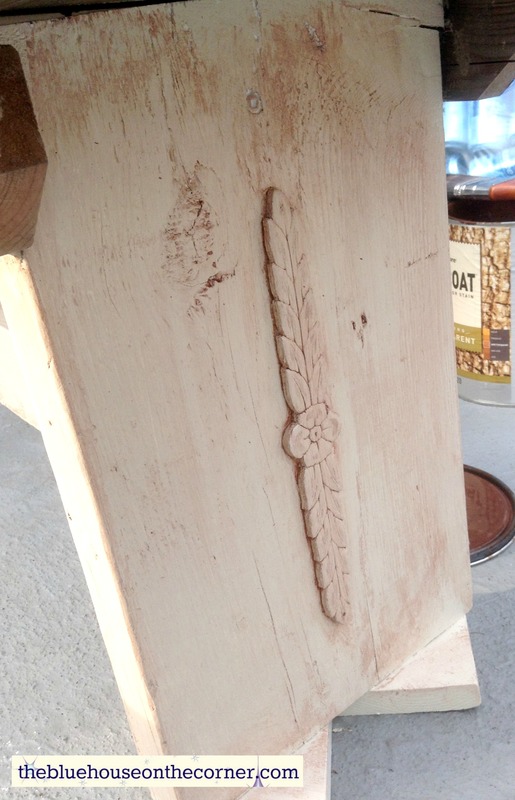 You want to use a natural bristle brush or a brush that is meant to work with stain. The reason for this, is that stain brushes actually push the stain into the wood grain a lot better, especially with the water based stains. 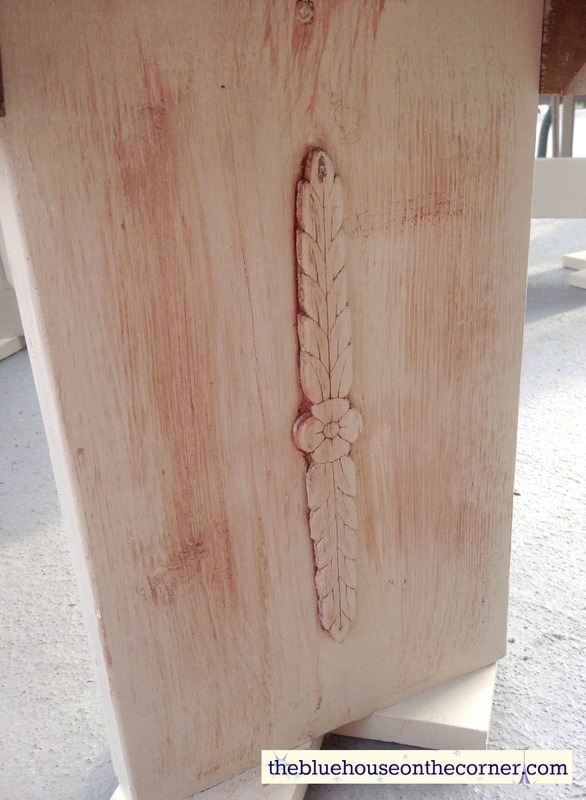 Always work with the wood grain and don’t stain when it is too hot! I stained in the evening and it was perfect. To get the nicest finished look, you want to stain in long strips. This will prevent lap lines. 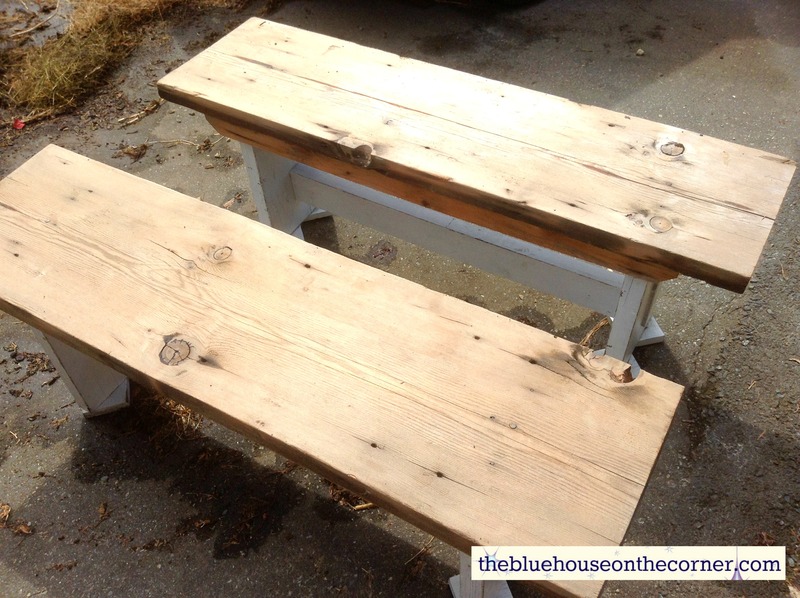 I am so happy with the way these benches turned out! From old to new again! My deck has some well used extra seating now as well!